Hollowick's EASY HEAT® Adjustable Wick Chafing Fuel is the only choice for your Chafing Fuel Needs. STANDARD: Comes to you factory set at STANDARD HEAT, suitable for most applications. 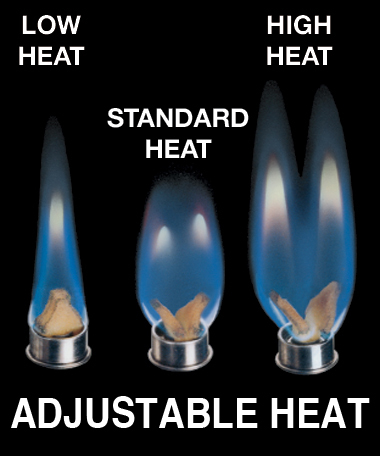 Heat output equals gel fuels and is superior to most standard wick chafing fuels. 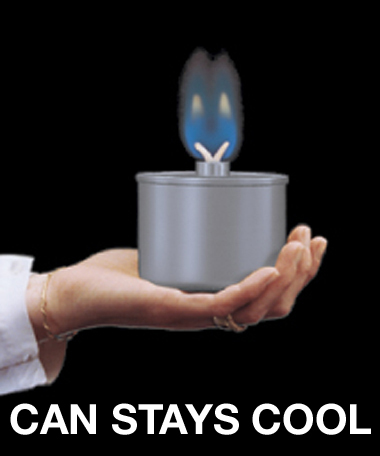 HIGH: Setting the wick at HIGH HEAT provides twice the heat output of gel chafing fuels. Use one can instead of two. LOW: Setting the wick at LOW HEAT is ideal for applications that require less heat, such as a beverage service.